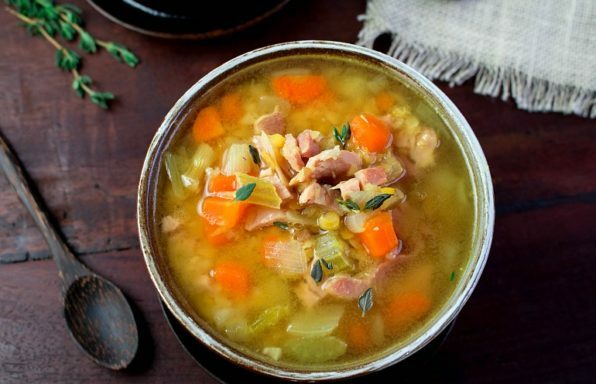 Are you running low on quick and easy less than 30 minute dinners? We have you covered. 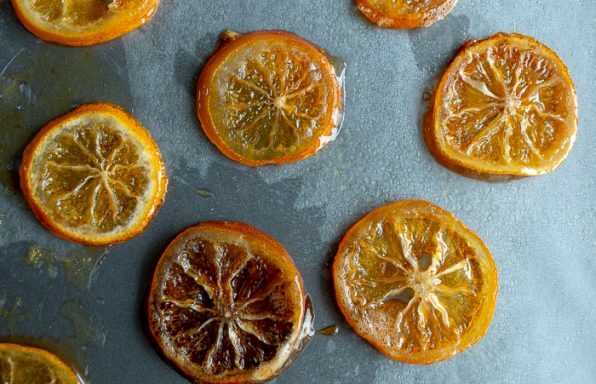 You are just going to love how easy this recipe is to whip together. 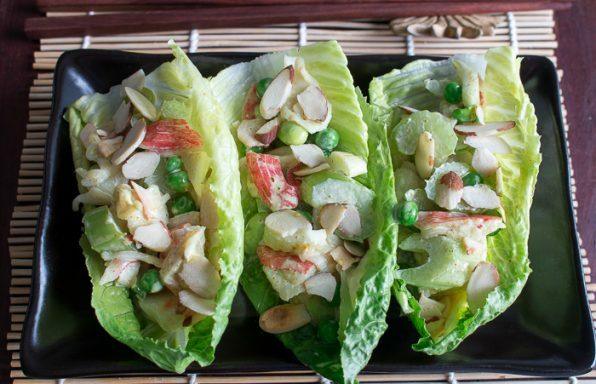 Great for Sunday meal prepping days. In 30 minutes, you can have a couple of your dinners sorted for throughout the week. How is everyone’s New Year Resolutions coming along? We know week 1 most people are going strong. Week 2 we have already had some drop outs. By week 3… “What was our New Year’s resolution again anyways… ?? 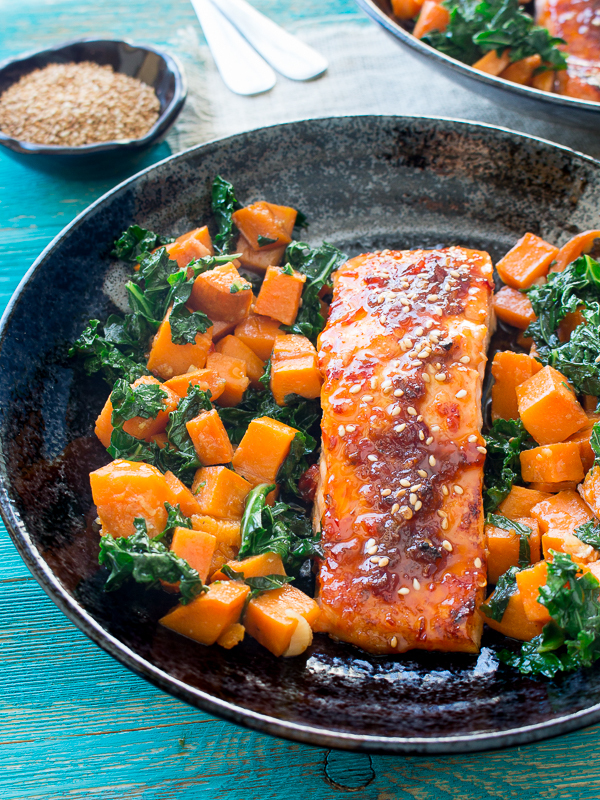 ?” If being the healthier you is your goal, then this Baked Spicy Salmon and Sweet Potato Kale Hash is the perfect recipe for you. 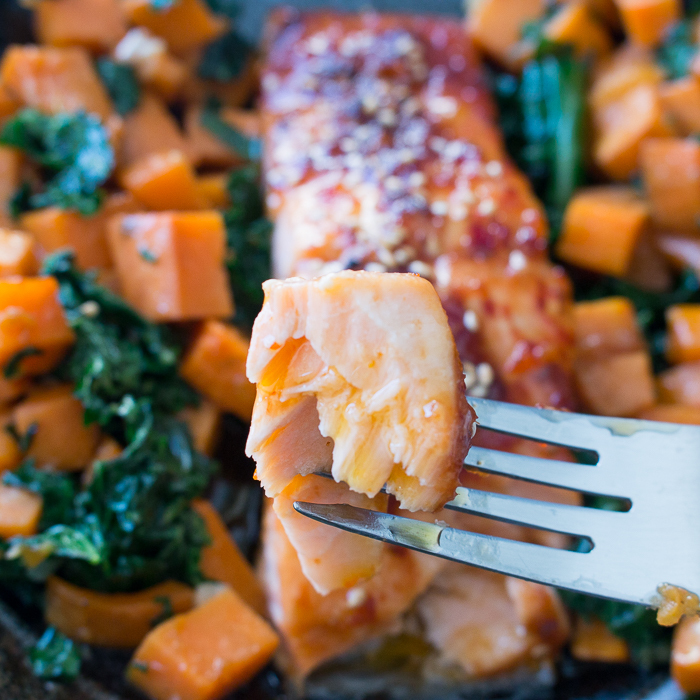 You are just going to love this recipe for Baked Spicy Salmon and Sweet Potato Kale Hash as the salmon when perfectly cooked just melts in your mouth. 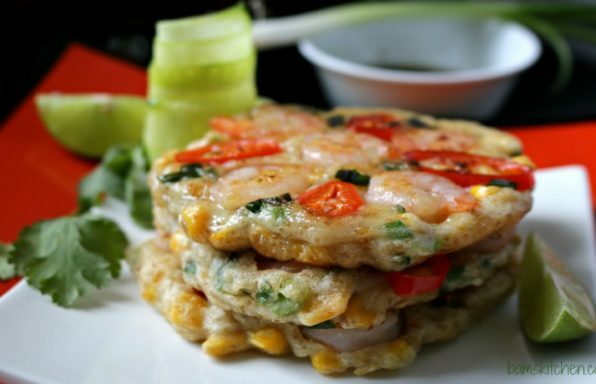 Not only is this dish tasty, but it is also rich in nutrients. Wild salmon is rich in omega – 3 Fatty Acids which can help reduce inflammation, reduce blood pressure and a good heart and brain protector. Sweet potatoes are high in many vitamins and minerals, especially vitamin A. Kale is another super food that is high in anti-oxidants, fiber and iron. We also have loads of garlic in this recipe (we know shocking…right?!?) and this will at least keep the vampires away… no really it is great to build up your immunity in this cold and flu season. We don’t know about you but we find sweet chili sauce way too sweet for us and we are trying to cut down on sugar so we made our own with fresh red chili peppers, ginger, garlic- of course and lots of it, tamari sauce, lime, orange, sesame oil and just a pinch of sugar alternative of choice to balance the flavors. Seriously this chili sauce is to die for. We are ready to start spooning it over everything. By the way, this homemade chili garlic sauce was fabulous over rice noodle stirfy the next day…so make extra! You may be saying kale??? We so don’t do kale. 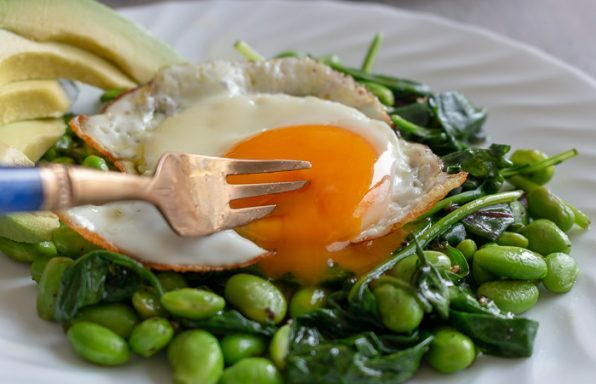 Then, go ahead and exchange with spinach or other leafy green vegetable of choice. Kale, just happens to be on sale at our market. Salmon is delicious. 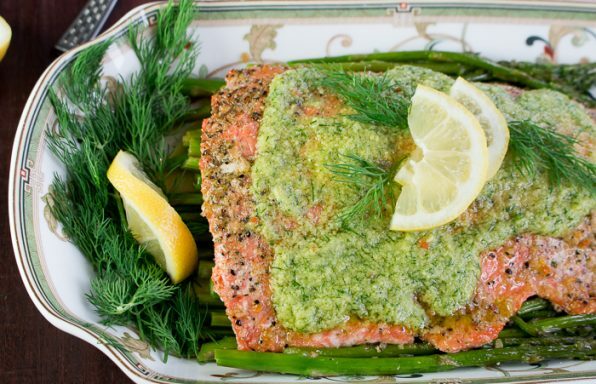 Have you tried our Spicy Citrus Baked Salmon Packets, One Sheet Pan Dilly Lemon Salmon, Kimchi Salmon and Quick Pickles or our Sensational Summer Citrus Salmon recipes? 2Drizzle olive oil and salt and pepper to taste over the cubed sweet potatoes and spread out evenly on a lined baking sheet. Toss in a couple of garlic cloves unpeeled and bake. Set your timer for 20 minutes. for 25- 30 minutes or until fork tender. 3In the meantime, make your garlic soy chili sauce. In a bowl add tamari (soy sauce), sesame oil, chili paste or chopped chili peppers, garlic, sugar alternative, lime juice and orange juice and mix and set aside. 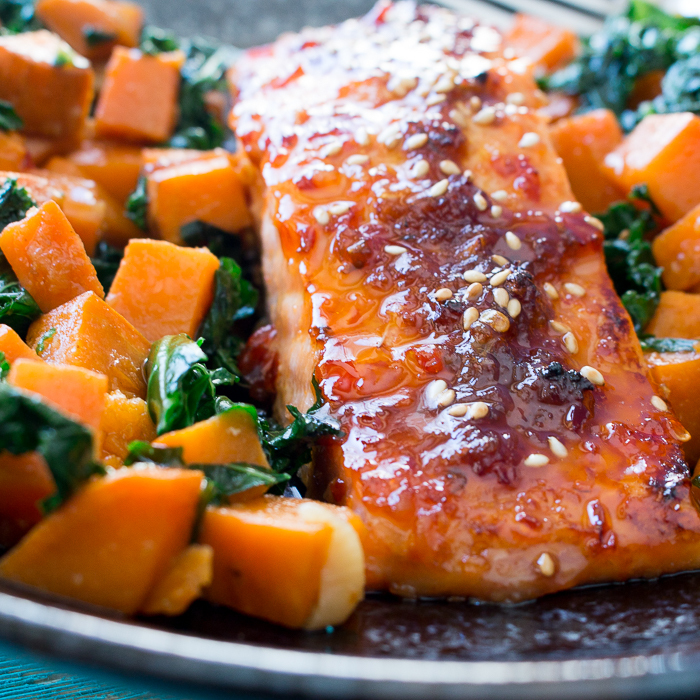 4Remove your sweet potatoes from the oven and move the sweet potatoes to the edge to make room for your salmon in the middle. Scoop the garlic soy chili sauce over your salmon and place back in the oven to bake for another 12-15 minutes or until the salmon flakes easily with your fork. 5In the meantime, saute your kale in a little olive oil just until it turns bright green and begins to wilt. Season with salt and pepper to taste. Set aside. 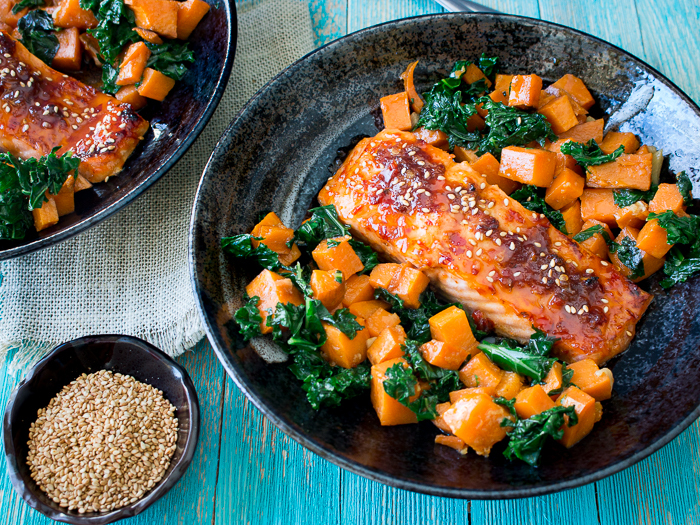 6Toss your baked sweet potatoes and kale together. Then take the whole garlic that roasted in the oven and squeeze them out into baked potatoes and kale hash. Toss gently. 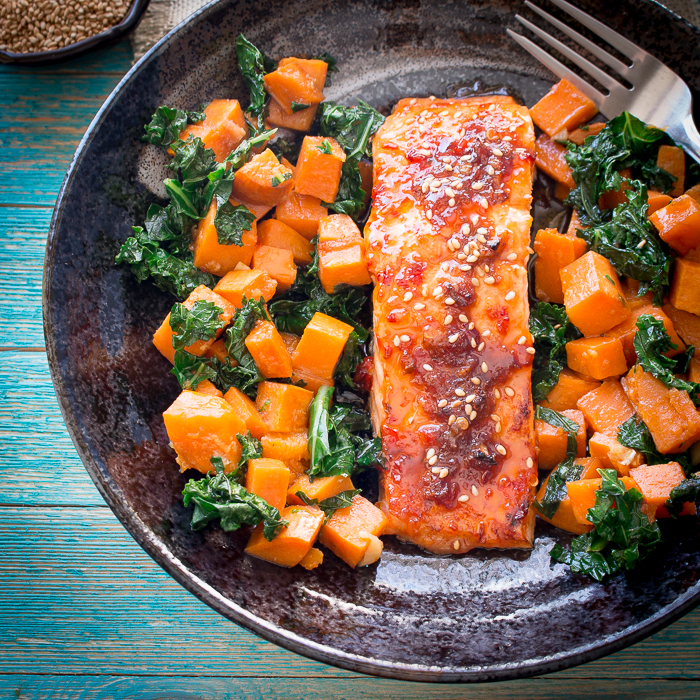 7Serve your Baked Spicy Salmon and Sweet Potato Kale Hash is a bowl and sprinkle with a little white sesame seeds and Enjoy!